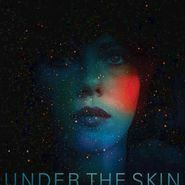 Typically, one would not include a film score on a year-end albums list, but Mica Levi’s score for Under The Skin is quite the exception. The score does just what the title suggests: it gets under your skin. Ligeti-inspired string orchestrations center around the same three notes throughout. Sometimes they appear as a comfort after long passages of dark pulses and dry wind, but more often the notes unsettle as they sweep back in out of darkness; the herald of “something-wicked-this-way-comes.” Even without the stellar film visuals (also one of the best of the year), the score works all on it’s own as a spellbinding piece.